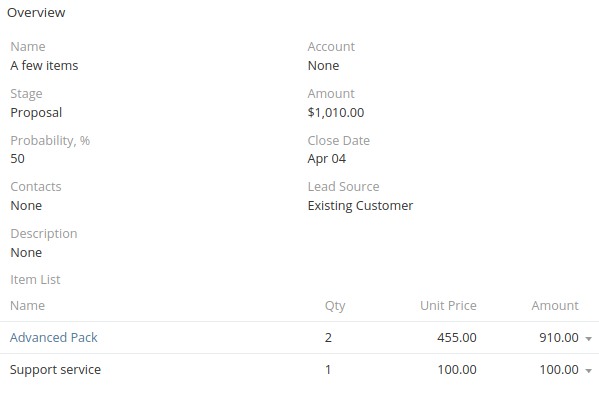 Products feature is available in Sales Pack extension. Product items can be used with Opportunity and Quotes. They are also available for a customization in Entity Manager so you can create new relationships between products and other entities. Products can be added as line items to an Opportunity record. You need to add ‘Line Items’ field to Detail layout of Opportunity via Layout Manager. Make the cell full-width wide using minus icon. Products can be added as line items to a Quote record.